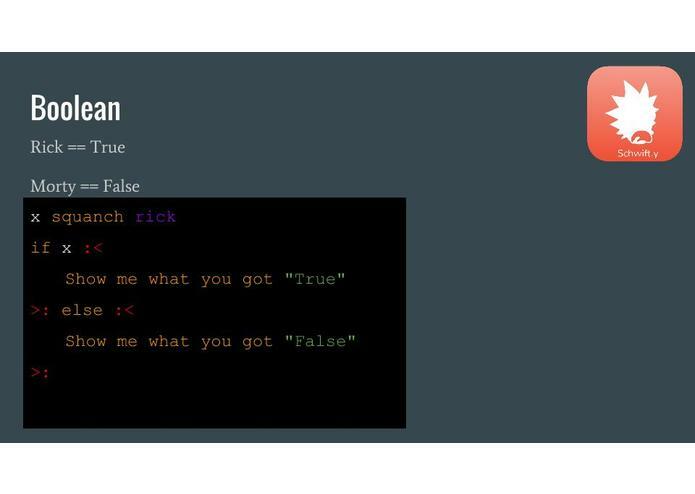 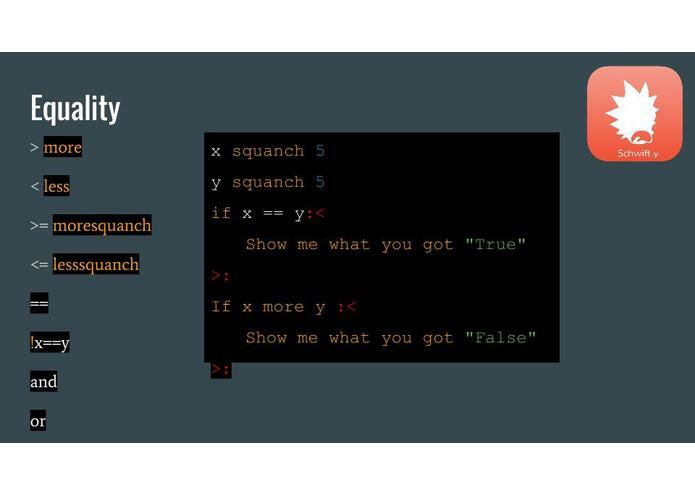 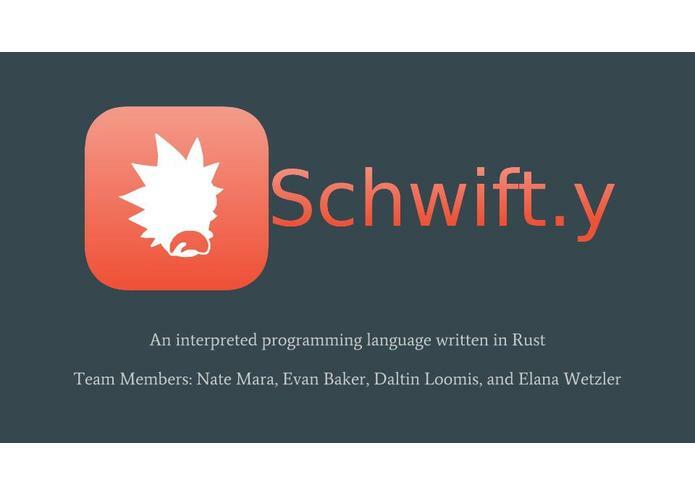 Schwifty's interpreter is written in the Rust programming language: https://www.rust-lang.org/ The code base is made up of over 5400 lines of code. Figuring out how to write a programming language. 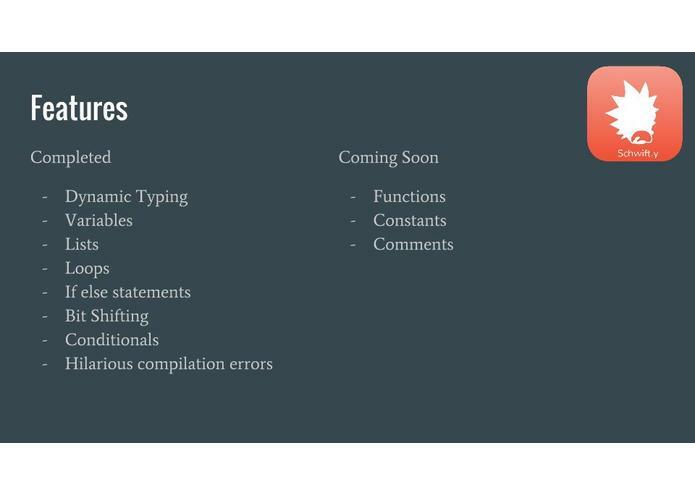 A compiled language would've proved to be too difficult in the short amount of time. 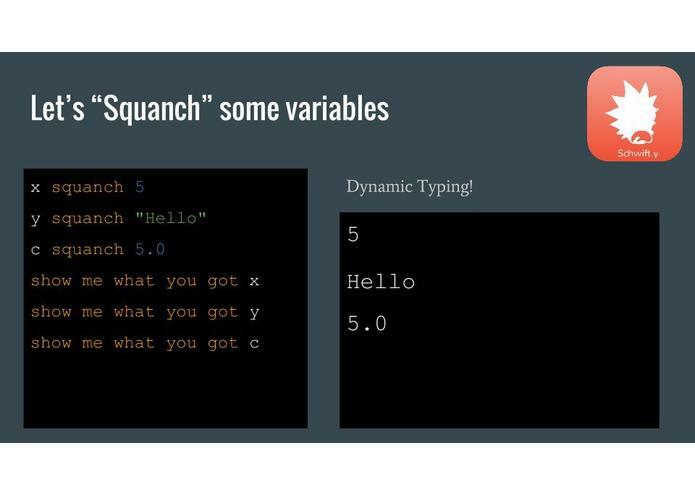 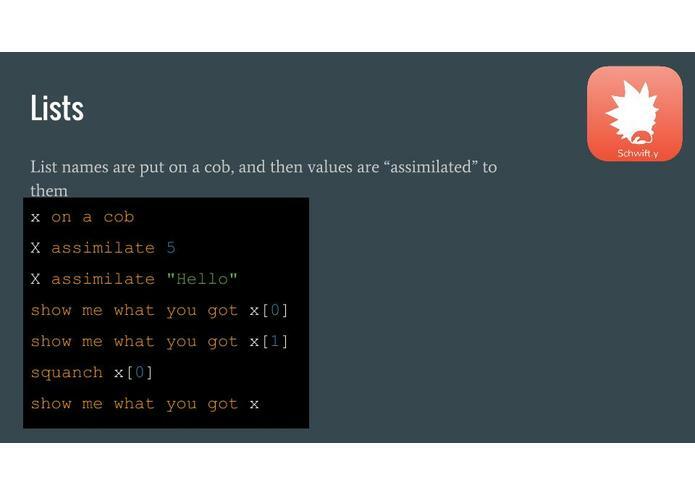 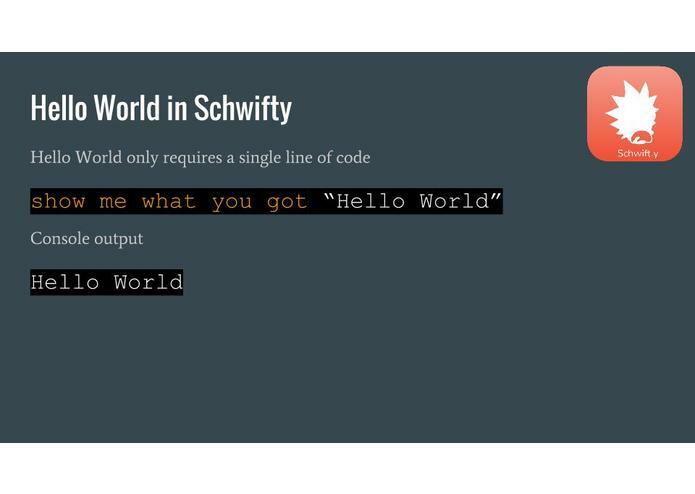 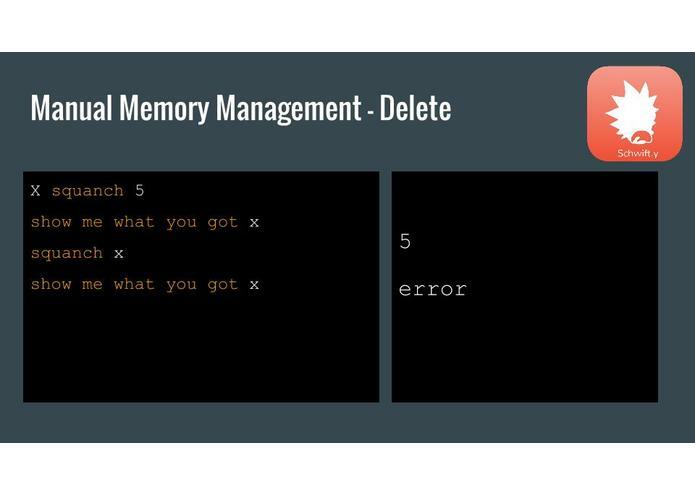 The Schwift programming language is turring complete and can actually be used to solve any programming problem, even with its basic rule set. 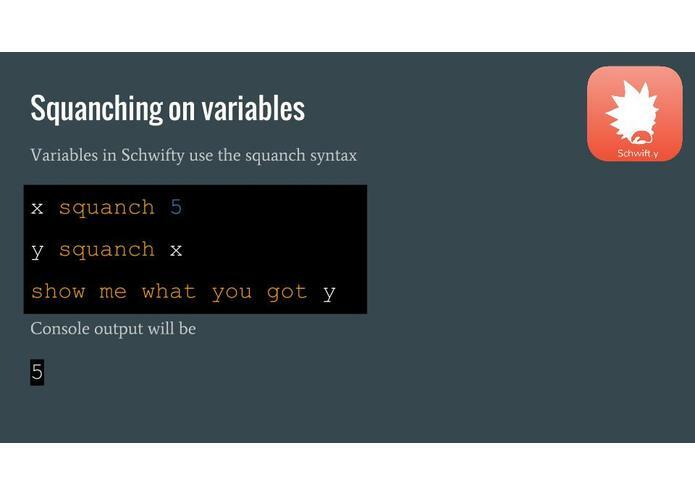 Writing a programming language is incredibly difficult and challenging, but rewarding. 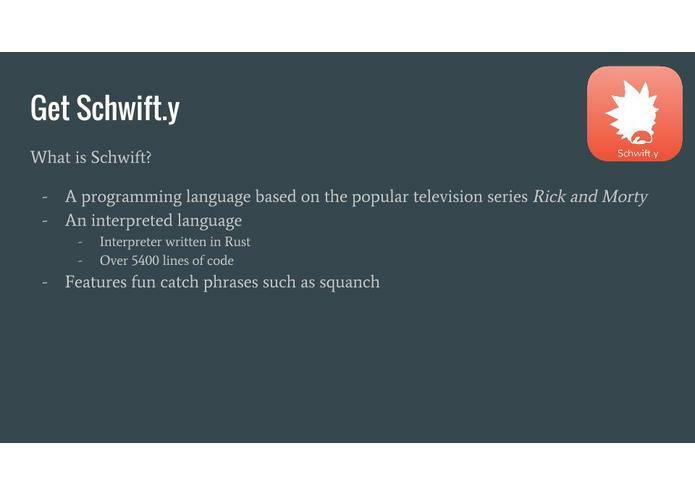 We also learned that the best way to learn a language is to NOT attempt to write another language with it. We would love to add functions, constant variables, and comments.